In late November of previous years, we have explored the traditional feast of Thanksgiving through a discussion of early American tableware and the analysis of foodways in both prehistoric and historic contexts. 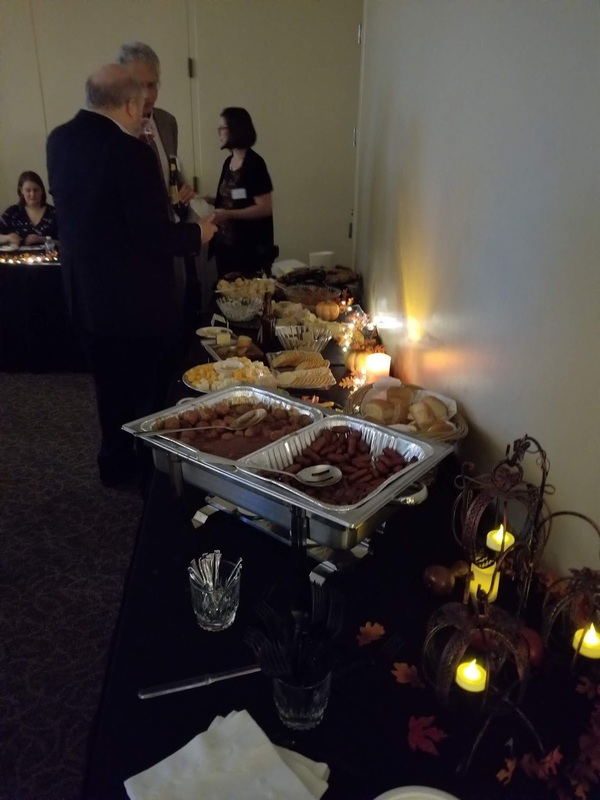 To revisit the theme of feasts, this year we will focus on some of the earliest evidence of ritual feasting in the archaeological record from eastern Pennsylvania and the greater Middle Atlantic region. It is possible to infer from existing examples of egalitarian hunter-gather societies that the very first Pennsylvanians had rich ceremonial traditions to celebrate food abundance and to find security in social bonds during times of scarcity. Paleoindians arrived as early as 16,500 years ago following migratory herds of caribou, moose and elk in small family bands of 10 to 20 people. The archaeological record does not lend itself easily to the interpretation of complex social dynamics in situations of low population density and poor site preservation. Ice age climate conditions swept away, rather than encapsulated Paleoindian sites near lowland waterways. 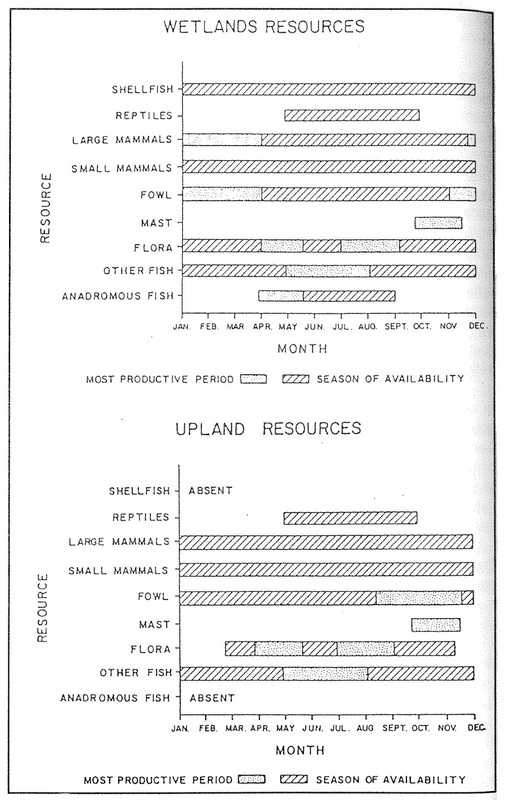 Further, the most ideal locations for resource exploitation by the very first bands of humans in upland settings, continued to be revisited by many different groups over time. Very little soil deposition in these environments over time has greatly diminished the ability of today’s archaeologist to distinguish distinct patterns of activity among any two prehistoric cultural groups because there has not been much vertical or horizontal spatial separation between what these early groups left behind. 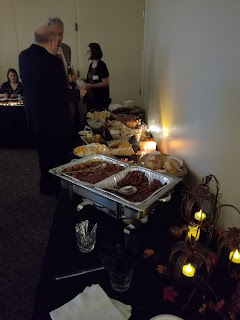 With those limitations in mind, ritual feasting is a cross-cultural phenomenon and adaptative strategy found in both egalitarian and non-egalitarian societies to build relationships and relieve tension. However, archaeological conditions necessary to begin seeing patterns that could be considered feasting generally require higher population density and environmental conditions that favor stratigraphic site preservation. Ethnographic studies also support the conclusion that surplus or alliance feasting as a form of social adaptation is not employed until cultural groups begin to organize on a transegalitarian level. Egalitarian societies of the past and present—like most prehistoric groups that lived in Pennsylvanian prior to European contact in the 16th century—live in social systems where all individuals have relatively the same status, with equal access to resources and few differences in wealth. There are a few distinct roles held by individuals in these societies, such as shaman or healer and headman or woman, and elders are often held in esteem, but these roles garner few tangible benefits and influence is limited within local family groups. As defined by the anthropologist Brian Hayden, transegalitarian social structures develop when groups begin to socially and politically organize themselves beyond extended family bonds of kinship. Charismatic leaders emerge and begin to exert influence beyond their local sphere, yet social organization remains decentralized. The political structures of cultural groups described as complex hunter-gatherers and early horticulturalists whom are organized on the order of macrobands—several usually-related extended family groups that live in seasonal camp sites— for most of the year or as tribes—cultural groups with defined leaders—can be described as transegalitarian. It is not until the Late Archaic, about 4300-6000 years ago that one could argue for the first evidence of macroband level ritual feasting in the region at a series of related sites, the Abbot Farm Complex on the New Jersey side of the Delaware river. 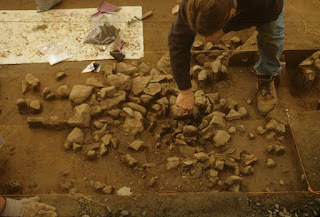 Here, archaeological investigations uncovered occupations of over one hundred men, women and children representing several different family groups gathering together to exploit seasonal resources, trade and exchange resources and ideas, and likely hold religious ceremonies and feasts to celebrate life events such as births, coming of age, marriage and death. By the Late Archaic climatic conditions had stabilized into a relative warm and wet climate and so had the courses of the major river valleys. The Abbott Farm Complex is situated at the fall line, a unique ecological niche between the brackish estuary waters of the Delmarva coastal zone and freshwater riverine resources of the Delaware Valley. 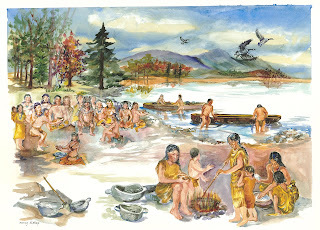 Rich in a diversity of natural resources and on a course of water easily navigated by dugout canoe, it was a favorable site for the gathering of large groups of people in both the spring, during fish spawning runs, and the fall, following bird migrations when tree nuts were ready for harvest. 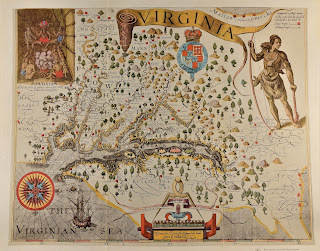 Food resources were readily available to support the large gatherings of people and it also served as a convenient junction for the trade and exchange of ideas and goods—a crossroads between north and south, eastern coastal and western piedmont resources. 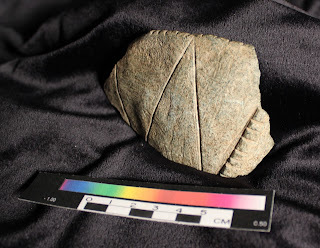 Late Archaic settlement patterns at Abbott Farm demonstrate some of the first evidence of seasonal gathering into macrobands that could support large scale communal feasting due to food abundance. In both the Susquehanna and Delaware Valleys a similar widespread settlement pattern that began at Abbott Farm emerges regionally from about 4,300 to 2,700 years ago. Conversely, environmental data would suggest this regional change in social structure was partially necessitated by greater food scarcity and instability rather than a higher resource carrying capacity as inherent at Abbott Farm. Called the Transitional Period or the Terminal Archaic, it is a time of transition between Archaic hunter-gatherer to more sedentary horticultural lifeways in Pennsylvania. This cultural period coincides with a climatic episode called the Sub-Boreal, when the weather was warm, but dryer than today. Food resources and distribution would have been less predictable due to increased drought conditions, flooding and erosion. There is a marked shift in settlement patterns not unlike the Abbott Farm model that demonstrates a focus on creating food surplus in the spring and fall. Bands continued to follow an annual cycle, gathering resources in lowland and uplands settings on a seasonal round. However, camps were larger and occupied for longer periods of time by groups as large as 10 to 12 families in the spring during fish migrations as well as bird migrations and nut harvests in the fall. At floodplainsites, massive fire cracked rock features, either concentrated in large clusters up to 10 feet in diameter or scattered over large areas near the water’s edge are the likely by-products of mass roasting pits and stone-boiling on a large scale. This is a marked increase in resource procurement activities from Archaic settlements in similar locations. The introduction of seed plants of the Eastern Agricultural Complex (chenopodium, little barley, knotweed, and lambs quarter) in addition to squash, which first appears during the Late Archaic, also denotes further investment of time, energy and longer occupation of sites. At least some band members would have to remain near garden plots to plant, tend and harvest in the late spring through the summer months. 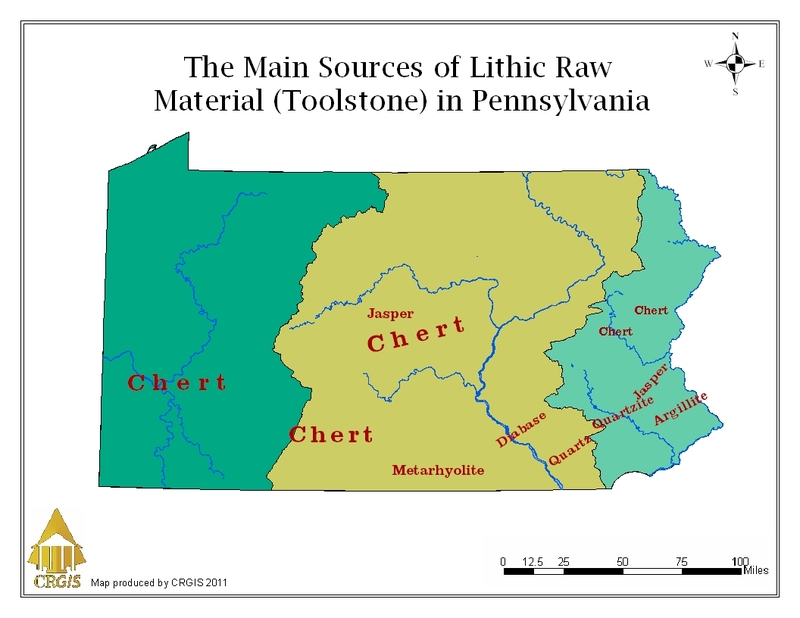 Another change during the Transitional Period is movement of and preference for South Mountain metarhyolite from Adams County, jasper from the Hardyston formation in Lehigh County and the Bald Eagle formation in Centre County, argillite from New Jersey, and steatite from the border of Lancaster and Chester Counties throughout the Northeast as toolstone. Distinct broadspear projectile point forms and later fishtail projectile points, made almost exclusively from these lithic sources are widely adopted in the region. 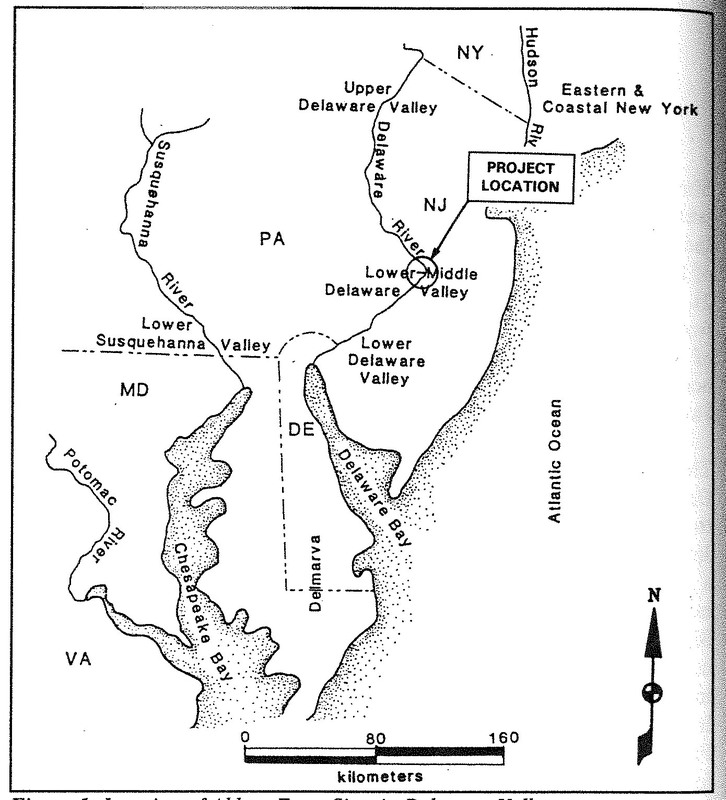 This demonstrates larger spheres of interactions and expanding social networks during the Transitional Period in the Susquehanna and Delaware Valleys than during the Archaic. 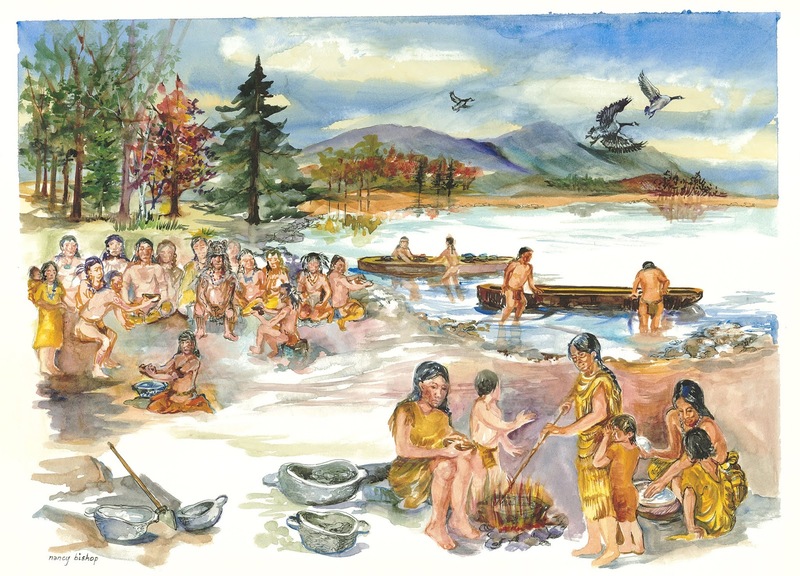 The earliest evidence of burial ceremonialism related to Pennsylvania broadspear and fishtail cultural complexes are also found in New York and New Jersey in the form of cremation burials with grave goods. Burial ceremonialism connotes a belief in an afterlife, potential recognition of special status for individuals and the need to distinguish family and band members from non-family band members. As social spheres increase the need to distinguish those that belong to a group from others also increases. Special status burials also demonstrate influence of certain individuals beyond their death, and potentially beyond kinship relationships. The first non-perishable portable vessels made of steatite or soapstone are also diagnostic of this period. As an object, they perhaps best epitomize the cultural changes that are occurring during this time. They were utilized at sites hundreds of miles from their quarry source and ranged greatly in size. Some are large and likely used in direct cooking methods to more efficiently process foods than indirect boiling methods used with baskets made of bark, cordage or animal skins. While smaller vessels, some with decorative motifs as seen in this example from the Zimmermann site (36Pi14), may have had a ceremonial purpose, could have been used in ritual feasts to delineate band affiliations, and/or played important roles as part of elaborate gift exchanges systems between bands at these seasonal gatherings. 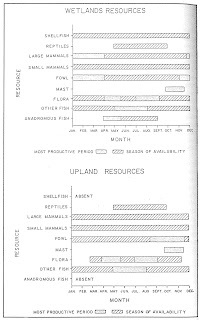 Large seasonal settlements in the spring and fall demonstrating intensive food-surplus production, the regional movement and preference for select toolstone and projectile point technology, and the adoption of steatite vessels for both cooking and non-utilitarian functions are all social adaptations that were likely reinforced and perpetuated by the ritual act of alliance feasting. To organize the food and resource surplus needed to create these feasts, charismatic leaders would have begun to emerge at this time. Beyond the social needs of building community through shared religious practice, intermarriage and celebration or commemoration of major life events, feasting played an important role to promote trade and exchange networks between families for goods and lithic resources that may be outside of smaller bands winter and summer seasonal rounds and provide greater food security in unfavorable or unpredictable conditions during the Transitional Period. We hope you and yours have many opportunities to gather with loved ones and feast this holiday season. We’d like to thank our many volunteers whom expand our microband of staff members into a macroband capable of exchanging information with the greater community and preserve our past for our future. 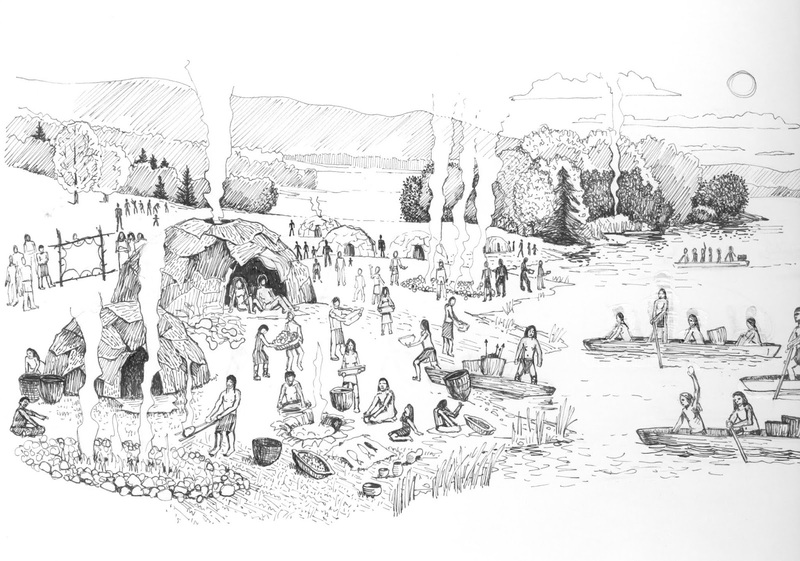 2015 First Pennsylvanians: The Archaeology of Native Americans in Pennsylvania. Pennsylvania Historical and Museum Commission, Harrisburg, Pennsylvania. 1996 “Feasting in prehistoric and traditional societies”. In P. Wiessner and W. Schiefenhovel (eds. ): Food and the status quest. Berghahn Books. Providence: 127-147. 2009 The proof is in the pudding: Feasting and the origins of domestication. Current Anthropology 50(5):597-601. 2011 A century of feasting studies. Annual Review of Anthropology 40(1):433-449. 2018 Feasting: The Archaeology and History of Celebrating Food. ThoughtCo. October 1, 2018. https://www.thoughtco.com/feasting-archaeology-and-history-170940. 1996 Area D Site (28Me1-D) Data Recovery. 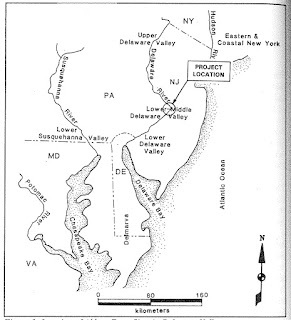 Trenton Complex Archaeology, Report 9. 2016 Trans-egalitarian Society in the Transitional Archaic. Society for American Archaeology 81st Annual Meeting, Orlando, FL. Foragers in Middle Atlantic Prehistory. 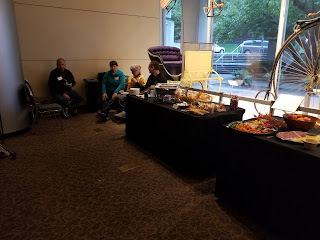 We would like to thank all the attendees, speakers, volunteers, and staff that made the 2018 Workshops in Archaeology a bounding success. 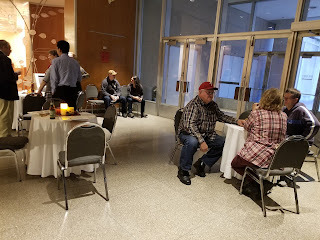 The subject of this year’s program was John Smith’s Susquehannocks: The Archaeological context of a Native Culture; and it was one of our most successful events having an overall attendance of 190 people. As always there was flint knapping demonstrations provided by Steve Nissly, an expert flintknapper that not only displayed some of his more impressive pieces but also demonstrated his technique. This year in keeping with the Late Woodland culture period of the Susquehannock Indians, Steve demonstrated the technique used in producing triangular shaped projectile points (arrowheads). Doug McLearen, Chief, State Historic Preservation Office and Dr. Patricia Gibble, Historic archaeologist and retired college Professor and consultant identified artifacts for participants which facilitated site recording. Noël Strattan and Hannah Harvey from the State Historic Preservation Office were on hand to demonstrate site recordation in the Cultural Resources Geographic Information System (CRGIS). It is essential to know where sites are in order to protect and preserve our archaeological heritage. In addition to these staples of our program we were pleased to welcome 9 speakers to this year’s program. All professionals with an expertise in Susquehannock archaeology and history. The program began with Beth Hagar, Director of State Museum of Pennsylvania, providing opening remarks with a brief presentation of recent accomplishments and events at the museum. Followed by opening remarks by Dr. Paul Raber, Director of Archaeological Services Heberling Associates, Inc. It seemed only right to begin the day with Dr. Barry Kent, Pennsylvania State Archaeologist (retired). 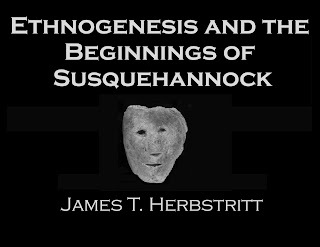 He is also the author of Susquehanna’s Indians, the preeminent volume on the archaeology and history of the Susquehannock Indians. Dr. Kent provided the culture history of this native group from their origins through the last historic record at the horrific Conestoga Indian Town massacre in 1763. Next up was one of our former interns, Jasmine Gollup, M.A., TRC Environmental Corp. She presented her research in the Upper Susquehanna Valley tracing the origins of the Susquehannock or Proto-Susquehannock, acknowledging some of the caveats encountered during her investigations. After a short break, with more doughnuts and fruit than you can imagine. 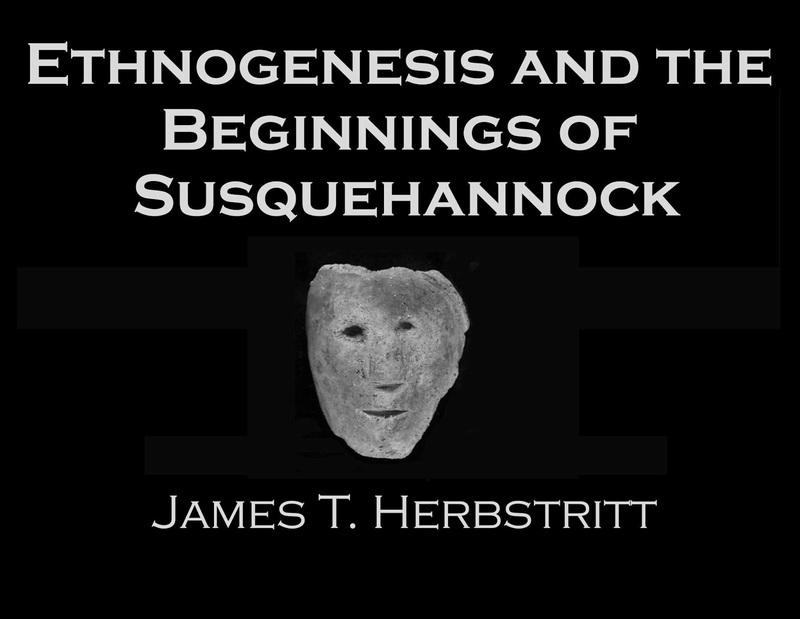 James Herbstritt, The State Museum of Pennsylvania, discussed the ethnogenesis of the Susquehannocks as they moved through Pennsylvania following the North and West branches of the Susquehanna River. 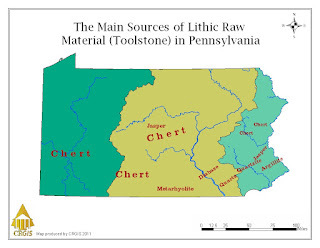 By analyzing changes in ceramic assemblages from many Susquehannock and Proto-Susquehannock sites and associated carbon 14 dates he developed a chronological sequence of the Susquehannocks. The last paper of the morning was presented by Andrew Wyatt, M.A., Senior Archaeologist, AECOM. Andrew shared the results of the data recovery excavations at the Lemoyne site, an early seventeenth century, palisaded, Susquehannock village. Significant in providing dietary evidence not previously recovered on many of the previously excavated village sites which has enriched our understand of Native foodways. Presentations resumed after lunch with Dr. Robert Wall, Towson University, discussing the chronology of the Susquehannock. 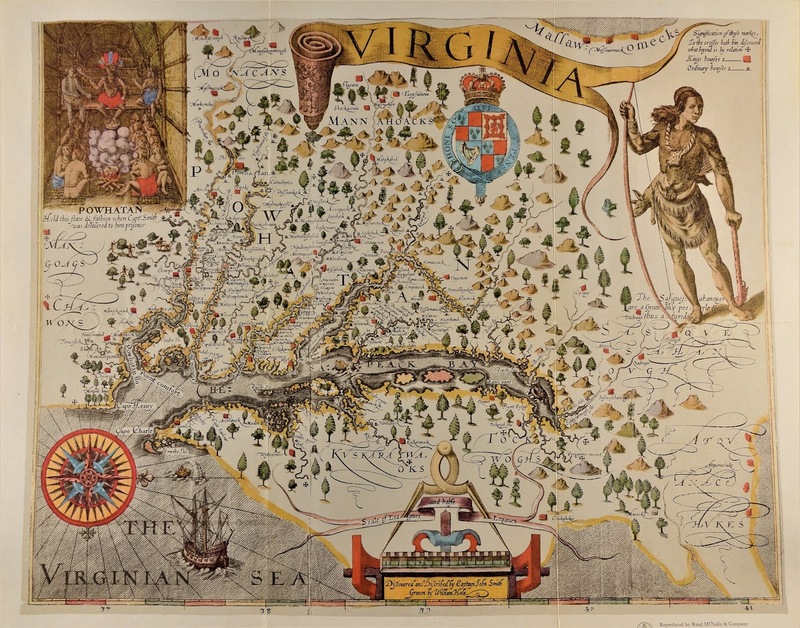 Looking at community patterns of several sites excavated in the last few decades, this time in the Upper Potomac River Valley he demonstrated the existence of a brief occupation which existed for about twenty years, which ended about 1620. 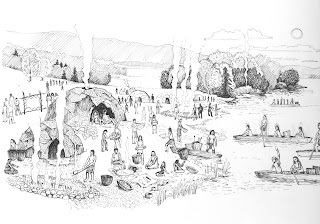 The first depiction of a Susquehannock is from John Smith’s journal and map of 1608 where he notes that they are “a giant like people”. Dr. Marshall Becker, West Chester University compared both male and female skeletal remains of Susquehannocks recovered in West Virginia with remains of contemporary natives from nearby tribes. His research suggests that the women were of average height, but the men were indeed taller. Dr. Lisa Lauria stepped away from the taxonomical approach and touched on the cultural anthropological method. She discussed the social context of ceramics and how it changed as brass and copper kettles replaced the handmade ceramic vessels. Lisa suggested that changes in pottery decoration and size reflected social change and adaptation of the people. After another brief break, Dr. Timothy Shannon, Gettysburg College, explored the historical accounts of the Susquehannocks interactions with colonials in the 17th and 18th centuries. Dr. Shannon’s research of treaty agreements, journals and colonial government records traced the transfer of power from the once powerful Susquehannocks to the Iroquois after the Iroquois attack of 1674. The final paper of the day was delivered by Jackie Kramer, Outdoor Recreation Planner, National Park Service. She talked about the Captain John Smith Chesapeake National Historic Trail which is the country’s first national water trail extending from Havre de Grace, Maryland to Cooperstown, New York and its role in telling the story of the native people that lived in the lower Susquehanna River valley. The presenters gathered for a question and answer session with the audience which allows for further discussion and questions from the audience. This exchange often introduces additional dialogue that presenters are unable to share in their presentations due to time constraints. Participants had one last opportunity to share thoughts and interests at a lovely reception in the museum’s Susquehanna room. For those that attended it was a great day full of good information about the people that once inhabited this part of Pennsylvania. If you were unable to attend, there is always next year. These presentations are also a preview of a soon to be published title; Contact and Cultural Identity, Recent Studies of the Susquehannocks edited by Paul Raber. This publication will be available in the fall of 2019 through Penn State University Press. The 2019 Pennsylvania Farm Show is just around the corner and this year’s exhibit will follow the theme of the workshops highlighting the archaeology and history of the Susquehannocks. Stay tuned to TWIPA for information regarding the 2019 Workshops in Archaeology as well as other upcoming events.